A subject that is not really mentioned in the Cannabis Industry very often is CONTAMINATION. Contamination is the act of making something impure or unsuitable by contact with something unclean or bad. There are numerous ways that plants become contaminated, and even after production of plants there is a risk in storage, drying and curing of certain fungi and molds colonizing and spreading. Considering most industries have certain standards set and implemented by government agencies and guidelines for regulation of a quality controlled product, it would make sense for Cannabis to be integrated like that. Recreational users as well as Medical users all have a right to know what potentially is in the products they buy or use. This reason is amplified by the medical and frail health already of patients turning to using Cannabis. So what types of contamination are there and how do these affect us? Contamination is a general description but since there are many ways for plant matter to obtain contamination it is necessary to list all possible entry points to cause this problem. It is a complex issue since there are thousands of known chemicals that may contribute to this and to test for each one it is impossible in a general samples. Therefore using a practical approach and understanding the general areas this occurs may already make the Cannabis worker aware and reduce the possibility for future harvests. 1. Water- ground or well water may already have higher ppm, leaching of rain water to reservoirs may also cause these issues and it is only identified when tested. Intentional or not, water is an element that is necessary to control and test. 2. Air /wind pollution/pollen of other plants– highways, industry and air borne chemicals can all be unintentionally passed over the plants due to circulation. Simple washing or dipping of the plants before harvest can reduce this factor. Hepa-filters and filtering air conditioning systems all aid to reduce this. 3. Earth or soil– sterilized potting mix is always the best option, however industry and leeching by the rain can unintentionally increase certain compound levels in the soil if directly planting into local ground. Radioactivity and toxic chemical waste maybe higher than we know in areas, so testing is necessary. 4. Mixing with tobacco– tobacco mixed with Cannabis to use as a smoking medium increases the chemical content since it is well known processed tobacco is exposed to hundreds of chemicals at all stages of the process. 5. Food sources– where the raw minerals were mined and how they are mined or collected determines residue chemicals, as well as inorganic v organic elements all have the potential to increase unwanted substances in the food sources and contaminant the plant. Heavy metals are one such concern that is not a prerequisite for testing in most dispensaries or coffee shops or clubs. 6. 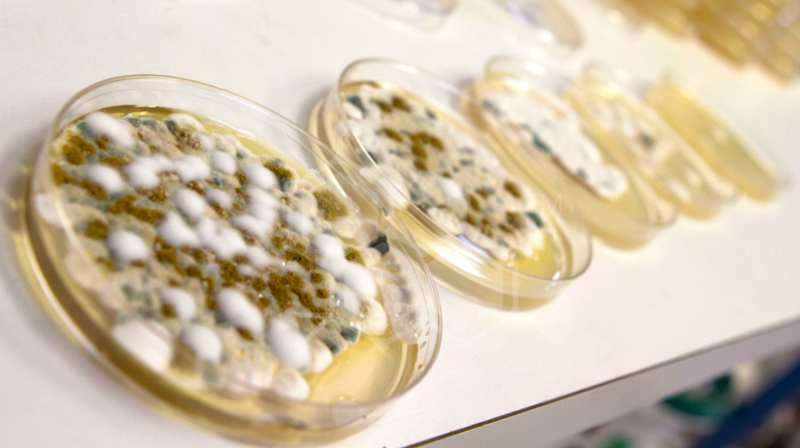 Molds and fungi mildew– the adulteration of plants with airborne spores and fungi are a presence all around us and this contamination can occur after the harvest if the drying, curing and processing is not done in controlled environments. 7. Pesticides– while the limited studies of this field show certain compounds to be extremely hazardous, this factor will need regulation similarly to all food and non-food products. Ingesting by vapor and accumulating these chemicals in the body can cause serious conditions to humans. 8. Radioactive– hemp crops and extracts coming from Czech Republic, Russia, France, Hungary, China etc…may be extremely cheap due to growing the plant on tainted areas exposed to radiation. Using these plants for extractions, as is being done currently ,may be illustrates the importance of inter country testing and controls. 9. Pests– excreta of pests, dead bodies mixed into dried samples of Cannabis and toxicity due to large numbers of pests all should be monitored with an eye glass prior to using. While it may not be a strong contaminant it can harm medical users. 10. Heavy Metals– arsenic, chromium, cadmium, lead, aluminum and mercury all build up within a human body and are difficult to reduce as most cumulate in organs or fat. Strong links to illness are a factor for this contamination and there is no doubt these harm humans. Most do not test for these elements. 11. Processing plants to make Extracts-residues of unwanted chemicals of processing are a real concern and this is totally unregulated from production to final product and retail so far. 12. Genetic manipulation and chemical induced mass production of seed– using chemicals to make feminized seed and making sieved extracts with the plant once the seed is extracted may be a cause of concern due to toxicity of silver nitrates, gibberellic acids and all other chemicals used. No real studies have been done on this to date, so logic would say not to use such products until this was clear and understood. How do we measure contamination levels? In laboratories with professional assistants under sterile environments and according to guidelines set down by the WHO. However, according to some well-known laboratories’ in both USA and Europe it is on request to test for contamination since each test incurs work and costs to test. Sample size needed to test for all chemicals; cannabinoids, terpenes, flavonoids and contaminants would not be practical for the lab nor the client. Costs would accumulate to the products and there would be increases in cost price and retail price which begins to be impractical to maintain especially considering it is low income earners who are trying to grow and make their own medical Cannabis in the first place. However it is compulsory for large licensed growers like in USA (Colorado and Washington State) to have each large batch of finished flowers controlled by an independent agency with certain levels and standards applying. If base products are maintained like Tabaco or medical plants and exposed to testing to determine standards, then all products that follow will be safe. It is really a necessity and something we all believe is done to bring something to market but currently it is not done throughout the Cannabis industry…and this needs to change! Laboratories all differ from how they sample and how they process for testing, so reputable companies are better to test with. How they sample and where the samples are taken from can all change results and in many cases identical samples tested at different labs have been shown to be inconsistent. This is a big concern and the need for regulation or to adopt WHO practices and recommendations is something left up to the individual …of whom the individual is no specialist in this area so variances cause confusion and therefore this factor is a sleeping dog of the industry. Different ways of inhaling or ingesting Cannabis will also determine the amounts and concentrations of contaminants that will pass into the body. Studies have shown that pipes that use water expose the user to lower levels that may otherwise be greater in normal cigarettes for example. Is there a world standard? There are currently not even standards to adhere to in a single country let alone a single standard for the World. If every country adhered to the WHO guidelines on good agricultural and collection practices for medicinal plants maybe then we will be a lot closer to an accepted World standard, but at this moment it is nonexistent and left up to those who feel responsible or are professional enough to control these things in regards to Cannabis. Is there accepted safe levels and lethal doses. What are the worst ones? All chemicals are defined according to their lethal dose (in most cases) when used for human consumption. Because resistance varies from one individual to another, the ‘lethal dose’ represents a dose (usually recorded as dose per kilogram of subject body weight) at which a given percentage of subjects will die. The LD may be based on the standard concept, a theoretical individual that has perfectly “normal” characteristics, and thus not apply to all sub-populations. Pesticides (bifenthrin, diazinon, permethrin, paclobutrazol (growth regulator)), heavy metals (lead, cadmium, mercury and arsenic…) and radiation levels are in the category of lethal. It is not common for these to be controlled since regulations do not apply to a plant that has spent most of its last history as illegal. Contaminants cause a plethora of illnesses from nervous disorders to death, and we do not even really understand all of the potential disorders that affect the human. Until we do understand the ramifications of the contaminants and their effects on the Human world, we must use things with a minimum. One thing is exceptionally clear after interviewing many labs and lab workers, contamination is too prevalent. The need for compulsory testing to expose sub grade products and dangerous products is essential. There is an agency responsible for food or building or just about everything to do with Human use and consumption. Cannabis products need responsible testing for the safety of its users. About half the pharmaceutical in use today are derived from natural occurring elements. Quinine, Theophylline, Penicillin, G. Morphine, Digitoxine, Vincristine, Doxorubicin, Cyclosporine and Vitamin A all share two important characteristics, they are the cornerstones of modern pharmaceutical care and they are all natural products.